An oversight prevented the bridge crane from reaching a position over each lid. Tandemloc engineering designed and built a load-tested, gear driven adjustable counter-weighted lifting device that allowed the lids that were of different weights and sizes to be removed quickly and safely. 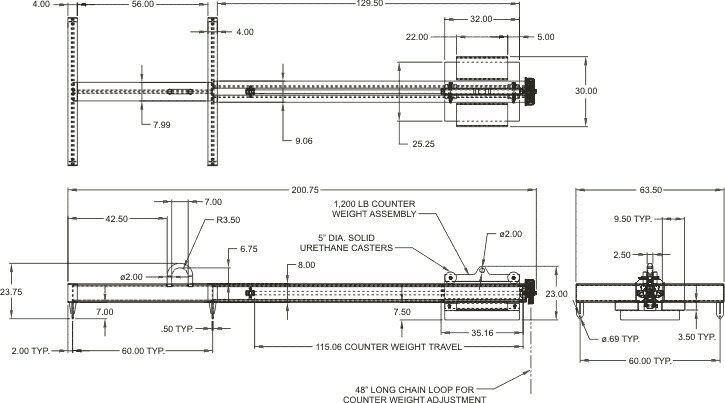 This design can be adapted to different lift beam configurations and other capacities. PROOF TESTED to 125% (15,000 LB) and certified.